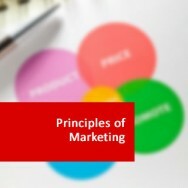 Pre-Requisite Modules: Academic Writing and Introduction to Business. 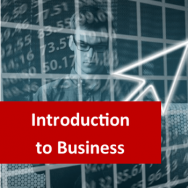 This course forms part of the Level 4 Diploma in Business, which will allow you to use the qualification you receive, to support an application for a university degree program in business. wish to attend university and complete a business degree, but haven't achieved the required "A" level grades. have the required "A" levels, but want to save money on tuition fees and accommodation costs, by also completing level 5 and level 6 courses currently under construction. 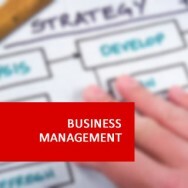 are a graduate wanting an introduction to business systems and theories. wish to pursue a career in business as soon as possible. How much profit or loss has the business made? How much money do I owe? Will I have sufficient funds to meet my commitments? The purpose of conventional business accounting is to provide the answers to such questions by presenting a summary of the transactions of the business in a standard form. The learner will: understand the nature of financial accounting and the principles of double entry book-keeping. The learner will: Know how to prepare a set of final accounts for a sole trader and a limited company. The learner will: Know how to calculate and interpret accounting ratios for profitability and liquidity. The learner will: Understand the principles of costing for materials, labour and overheads. The learner will: Understand the way costing principles can be used in short term decision making. The learner will: Understand the principles of budgeting and budgetary control. 1. Understand the nature of financial accounting and the principles of double entry book-keeping. 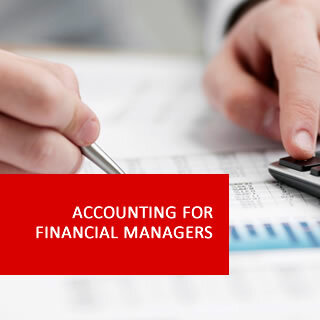 Define financial and management accounting and identify the essential differences. Define stakeholders and identify the information required by each from a business. Define the requirements of IAS 1 and the different financial statements required. Understand the concept of double entry. Be able to make the relevant entries into book of accounts for simple transactions. Understand the use and purpose of the day book. Accurately reflect entries and adjustments in two or three column cash books. Understand the purpose of and make appropriate entries into control accounts. Prepare a trial balance that accurately reflects any book-keeping adjustments. Explain and understand the purpose and use of a suspense account. Accurately enter relevant entries in the cash book. Prepare the book of accounts accurately from entries in the cash book. Prepare bank reconciliation using bank statements and required adjustments. 2. Know how to prepare a set of final accounts for a sole trader and a limited company. Explain for differences between a sole trader, a partnership and a limited company. 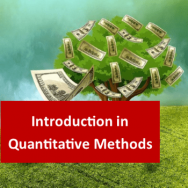 Preparation (with relevant and appropriate adjustments) of a trading account and profit & loss account (Statement of Comprehensive Income) and a balance sheet (Statement of Financial Position) according to cGAAP. Outline and describe the requirements for a cash flow statement. Describe the use of a cash flow statement. Prepare a cash flow statement using either the direct (cash) or the indirect (accruals) method. 3. Know how to calculate and interpret accounting ratios for profitability and liquidity. Understand the use of ratios to compare different sets of results. Using ratios to compare one business from year to year. Using ratios to compare business within the same industry. Understand the limitations of ratios. Describe and explain accurately the results and implications of any ratio calculation. 4. Understand the principles of costing for materials, labour and overheads. Describe and explain the nature, purpose and objectives of cost and management accounting. Define basic accounting terms; direct and indirect cost; overhead costs. Calculate labour costs given a range of figures on wage and payroll rates and labour hours. Calculate overheads and overhead cost for a given level of output. Calculate total cost for a given level of output. Calculate the overhead included in a cost for a given output. Calculate the difference between actual and planned overhead. Define over and under absorption. Understand the effect on profitability of under or over absorption of overhead. 5. Understand the way costing principles can be used in short term decision making. Define basic accounting terms: fixed and variable costs. Understand the result of stepped and semi variable costs. Explain and describe the use and outcome of stepped and semi variable costs. Define the basic accounting term; contribution. Calculate contribution for a single unit. Calculate total contribution for a given level of output. Explain the uses of contribution costing and overhead absorption costing. Define basic accounting terms: break even, break-even point, limiting factor, margin of safety. Calculate margin of safety for a given level of output. 6. Understand the principles of budgeting and budgetary control. Define basic accounting terms: budget, budgetary control, revenue. Calculate costs at different levels of output. Prepare basic budgets for different output levels using costs and overheads given. Define basic accounting terms: variance; cashflow; working capital. Calculate actual and budget costs for given levels of output 3. Prepare tables showing actual, budgeted costs and variances. Understand the effect on cash and profitability of negative or positive variances. Basic understanding of the effect of working capital. Michael has over 20 years experience in industry with a diverse academic background incorporating executive management, chemical engineering, and computer science. Michael has an international background and has worked as a technical director, production manager, and operations manager throughout companies across the world. 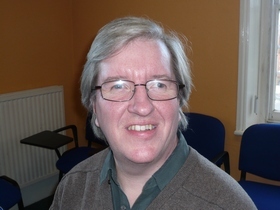 He recently completed his MSc in Computer Science from the University of Kent, and is an executive associate of the Institute of the Independent Business International. Course Prerequisite G.C.S.E in English and Maths, or equivelent. N.B. Our course levels are an indication of the depth of learning you should receive. They do not describe the level of difficulty. Comparative Credits Information UK Course Credits: 12 - U.S. Credit Hours: 4 - when compared to regulated courses.